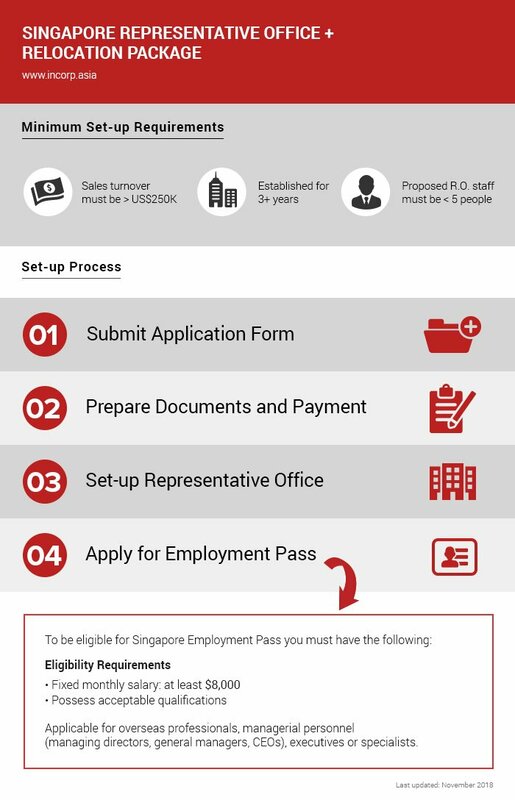 This package is for foreign companies that aim to form a Singapore Representative Office and relocate representative staff to the country. Generally, a representative office is a temporary administrative office that only manages and coordinates a foreign company’s non-commercial activities. A representative office formation service that suits your needs. Let us help you to set up a Singapore representative office fast and give you tailored advice on a full range of corporate solutions.